Hello everyone! Breathing easy, I hope! On this blog, I have written so much about so many things that it’s actually hard for me to remember not to repeat myself! I’m assuming you are like me and want to read about new things from your favorite author. Am I right? Did I just call myself your favorite author? Hmm.. do I even qualify as being an “author?” Well, I do write this blog but I’ll let you decide on if I’m your favorite. HAHA! On Monday, K and I dove into a new adventure. Before I start anything new, I research the heck out of it. Pinterest is one of my favorite places to go for information. Then, I move on to Google search! Though, SIRI (on my phone) could find me the information I need faster, I’m the type to do the work myself. I think I learn more that way. K and I decided, after months of me suggesting we should try this, to prepare a bunch of meals to throw in the freezers for the days where neither one of us are up to cooking. I do most of the cooking in our house and sometimes.. ok, a lot of times, I just don’t have the energy to make a great meal. 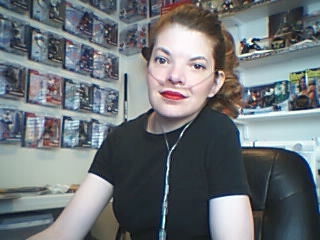 Since I switched from using an inhaler to using a nebulizer recently, I’ve rediscovered some lost energy. I’m slowly starting to get more done around the house. Word of warning: Don’t try this until you have one full day of time to cook and make sure you have everything you need before you start. I made a simple list of the order of cooking I wanted to accomplish and stuck it where it would always be right in front of me (on the face of the microwave!) We started with a half empty freezer out in our garage. Yes, we have a separate upright freezer. K bought me an upright freezer because he knew it would be difficult for me to bend over and search through a horizontal freezer. I also did an inventory of what can goods we had for the recipes that I chose to make to fill the freezer. By doing this, I could make a grocery list to make sure that we had all the food we needed. We only wanted to use fresh ground beef and fresh chicken because you shouldn’t thaw meat to cook and then refreeze it. You only want to freeze it once for quality sake. I knew I had to save K some running around because he spent the day before at his mom’s house helping her with her yard work and her pond. I ordered all the food through Walmart’s Grocery pickup service. All K had to do was pick it up on Monday morning before we started cooking. I had already ordered and received from Amazon.com the foil pans that come with foiled cardboard lids (5 lb containers) and the Reditainer Extreme Freeze Deli Food Containers (with Lids, 16-Ounce, 36-Pack) to store our prepared food. We were ready to rock! The beginning of our meal prep adventure! Once K unloaded the food, he proceeded to tell me that he was going to take a shower, which he did, and then he took a 30 minute nap. I was like, what? Wait a minute! I kinda panicked but he reassured me that when I truly needed help, he’d be there. I knew he was tired. It’s the beginning of the holiday season and he really needed the sleep. So, I got started with cooking the meat. I bought 15 lbs of ground beef and 2 packages of 6 large chicken breasts. I think my brain didn’t register how much ground beef could actually fit in my largest frying pan because I had to cook it in 3 separate batches. I had to cook the chicken in two batches. For the chicken, I just boiled them with 2 chicken bouillon cubes, salt & pepper. I used the broth from the first batch of chicken (added a little more water) to cook the second batch of chicken. I also reserved the broth for use in a few of the recipes we were making. Don’t let it go to waste. We ended up freezing the remaining 2 cups of broth! You could use it in chicken enchiladas! Half of the cooked beef! By the time I was done cooking the first wave of chicken and beef, I woke K up from his nap in the family room recliner. He’s my heavy lifter and chopping guru. He use to be a Sous Chef in his former career. So, he’s fast with a knife. Really fast. So fast that I’m kinda jealous. I’m too accident prone with sharp things to even attempt to compete with his skills. He was in charge of chopping the onion and all the chicken. Thankfully, I kept the empty milk jug gallon I just finished and used that to funnel all the ground beef grease into. NEVER pour that stuff down the drain. Packaging up the lasagna in 4 foil pans! 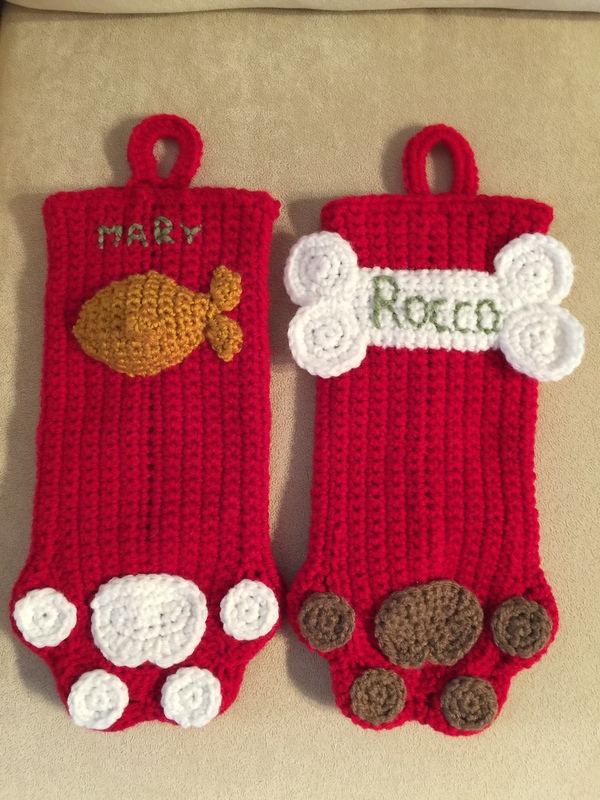 SIDE NOTE: Yes I crocheted those pot pads! BONUS NOTE: Make sure you pre-cook enough lasagna noodles for the pans you’re preparing! I cook mine to where they are just pliable because I’m freezing the pans of lasagna. I don’t want the noodles to be mushy when they thaw. I don’t prebake the lasagna before freezing either. I definitely misjudged how many noodles I needed. So, it took two batches. Overall, I think we did pretty good. We worked well as a team without killing each other. K let me be leader in this adventure which was nice. I really wanted this to work. By the time we were done, I was super exhausted. My legs & lower back hurt. We started at 10:30am and finished around 3:30pm. I think I shocked K. I don’t think he thought I would be able to pull this off. I showed him, huh? *wink* And then, I realized I had to get up at 8:30am the next morning for a doctor appointment. UGH! haha! Lots of meals in our freezer! The remaining diced cooked chicken breasts in several quart-sized ziplock bags to make chimichangas or chicken quesadillas. Overall, this adventure was a success and it proved to me that I can do something this major as long as I have some help. Yes I was very drained and I had to sit down a couple of times while I spooning food into containers or writing labels. Would I do this again with help? Yes I think so. I may try a few different recipes though. I don’t think I would try to make so many recipes at once again but K thinks we could do just as much next time. There are somethings I would PRE-MAKE ahead of time the next time we do this. Like, precook and then refrigerate the beef and chicken the day or night before. That would save a lot of time if I could get at least half of the meat cooked ahead of time. I’ll try to get some recipes that I used on my blog later this week. I hope you enjoyed this episode of This is Christine’s Life! lol! Stay warm everyone. It’s getting cold down here in Texas. The past few months, I have lost a lot of interest in doing a lot of things that I normally would enjoy. Part of it is from depression and the other part is a decline in health. I’ve slowed down quite a bit. I still “garden” but K waters the garden for me. I still crochet but it takes me longer to complete an afghan. I don’t leave the house on my own as much because it drains me a lot. But I still do it because I need to feel like my old self as much as possible. I get out of the house more WITH K than alone. I try to find different things to experiment with to keep my interest and find the happiness I need to keep me getting out of bed while K is working. So, I look to Pinterest a lot. Recently, I’ve challenged myself into conquering Yeast Rolls. Since I don’t have a KitchenAid stand mixer or a bread machine, I thought mixing and kneading the dough by hand would wear me out. When I finally found a recipe the creates only 4 rolls, I thought… “What the heck! Even I can do THAT!” Right? So, my foray into baking with yeast begins. My first time I produce the 4 rolls but the crust was too hard and they were dense. The third time I tried, I found the perfect recipe! This recipe calls for more milk than water and 2 eggs. Wow! Who knew that these changes would produce awesome dinner rolls? I used instant yeast this time but you can use active yeast because I do the same process of proofing the yeast for either kind. TIP #1: I use glass and tupperware bowls to make the dough. TIP #2: When measuring flour, ALWAYS spoon it into your measuring cup without packing it in or shaking the flour down. Level off with a straight edge. Melt butter in the microwave in a small bowl and let it cool. While using a blender (I used my hand mixer) to combine 1 cup of flour & 2 (room temperature) eggs and then add in the butter once it’s cooled but still liquid. Add the frothy yeast/milk/water/sugar to the Flour/eggs/butter that you just combine with the mixer and use the blender while adding another cup of flour. By this time, unless you have a stand mixer, you’ll need to change over to using a rubber spatula to add the rest of your flour. I had to do this last part with a rubber spatula because I don’t have a kitchenaid stand mixer. Don’t worry, it’s not that hard or tiresome. The dough will seem a little sticky after you incorporate the four cups of flour but it shouldn’t stick to the bowl. If you need a little flour, add it by the tablespoon. I only needed about 2 tablespoons of extra flour. It will be sticky but it shouldn’t stick to your fingers. Let the dough rest a few minutes in the bowl (I needed a little few minutes of a break) and then knead the dough. I kneaded my dough in the bowl instead of on a countertop for about 5 to 10 minutes (closer to about 10). It saved me from getting my countertop dirty. I eyeballed how much kneading was needed by testing its stretchiness (something about a window of dough)! After kneading, I just left the dough in the bowl and covered it with a Turkey Roasting oven bag since I had a box of them from when I thought I would try roasting a turkey one year. That didn’t happen. *rolling my eyes* The roasting bag fits nicely over the big, gigantic bowl I use to make the dough. I set the covered bowl in my warm garage (it’s in the 90s here now) and then the waiting started for the dough to rise to twice its original size. About an hour, maybe more, maybe less. Meanwhile, I cleaned up my mess and read a book on my Kindle app while occasionally glancing at the TV. Yeah, I’m that good! haha! When the dough is twice its original size, I brought it back into the kitchen and pressed/punched it down. I used my cutting board and a 8-inch sharp knife to cut the dough in equal portions. You should be able to get 15 pieces that you can form into approximately 2 – 2.5 inch balls. Don’t over manipulate the dough. Just gently fold the edges under and pinch the bottom seam together. Rolls after rising to twice their size. Place dough balls, seam side down, into a Pam sprayed 9 X 13 inch pan. I put my pan with the rolls back into the Roasting Bag and moved them back out into the garage to rise again to twice the size. By the time they have risen, they’ll spread to fill the pan. Take them out of the bag, preheat oven to 375 degrees and used melted butter to brush on top of each roll. Add a pan or baking dish of water on the bottom rake in the over under the place the rolls will go. It helps to bake them with this water to make the tops softer. Bake for 13 – 16 minutes depending on your altitude where you live. They should be nicely golden brown on the top. When they are done, butter the tops again and sprinkle with sea salt (I used Mediterranean Pink Sea Salt). Then eat one! Or two or three! YUM. Let me know if I made any mistakes or if you have any helpful tips in the comment section. Know Your Limitations for the Holidays. So, you use oxygen. Whether it’s 24/7, like me, or you use oxygen during activity, you should always know your limitations. The holiday season is now upon us. Heck, it’s been upon us since just before Halloween! Personally, I don’t understand that. I’m a type of person who loves to enjoy each holiday for what they stand for. Aren’t you? Though, I certainly can’t wait for K to start decorating for Christmas. He really has a knack for that. Remember last year? Your limitations are your body’s warning signs for telling you to slow it down and pause for a rest. No one wants you to peter out before the fun starts…whether it’s board games or Football games –backyard or on the TV in your comfy recliner. I think everyone who reads my blog would want you to enjoy the holidays with your friends and family without risking your health by overdoing. Right, y’all? So, what do you do? If you are the one who does the cooking for the holidays of the past but are now on oxygen, you can either pass the baton to another family member to cook the meal or delegate the whole meal as a pot luck. You can even prearrange by ordering a precooked turkey or ham from your favorite store and have it picked up! Save your oven for the important stuff, like PIE! Yum! With all the activity and excitement, even if you are not prescribed to use oxygen 24/7, you should always use your oxygen as your doctor has prescribed! You should never feel embarrassed to wear your oxygen. Your friends and family care about you and should always put your health as a priority. They want you to have fun too. So, if your body is telling you it’s tired but your brain still wants to get something done, listen to your body. Don’t be stubborn. Just get some rest and ask for help. People are actually willing to help you but most are just unsure how to be of assistance. Need something moved? Ask! Need help getting up from the couch? Ask! Is your oxygen tubing stuck around a chair leg? Ask for help! Someone STANDING on your O2 tubing??? Well, shove him off!! No… Just kidding! I always tell people when they come into the house that it’s ok to accidentally step on the tubing…just don’t stand on it and to watch their feet so they won’t trip. You need to not be afraid to speak up and ask for help. It’s really ok! Oh the hustle and bustle of December. Are you feeling it too? Feeling a little overwhelmed… stressed out.. so darn busy? My December started, of course, with my heart cath. Though, I’m relieved with the results from the cath, the after effects of the catheter that was inserted into my heart and partially into a lung, gave me two days of mild arrhythmias and made me feel a little tired. However, I bounced back to tackle Christmas. Hooray! I really enjoy Christmas but I don’t have a whole lot of energy for decorating. K really stepped up this year. He wanted to make this Christmas really nice because last Christmas was such a sad one. His dad was very sick and then he ended up passing away. This year was totally different. Oh my gosh! He went all out! He wanted this Christmas to feel festive and happy. I have to tell you. He did a wonderful job. In fact, I was asked to hire him out to decorate other people’s houses. That’s so crazy! 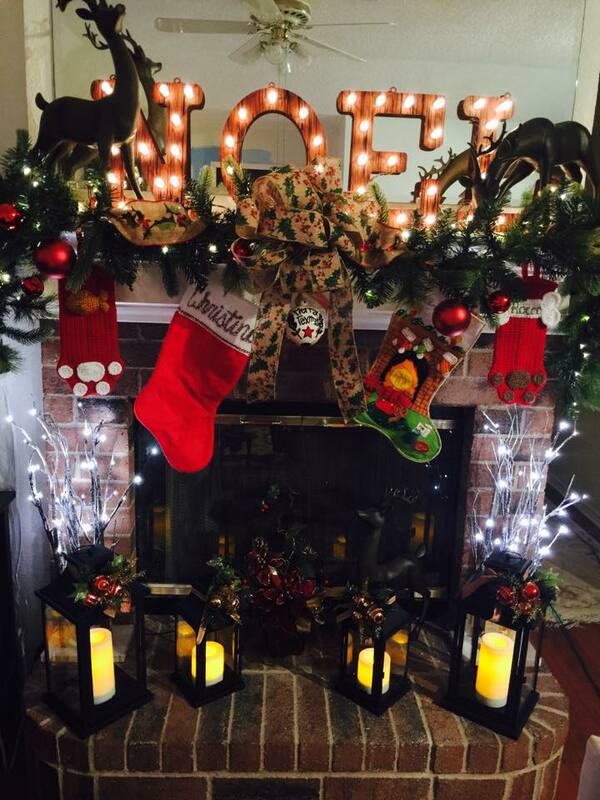 Above is a picture of our Mantle he decorated. December is the hardest month of the year for me.. well, for K and my relationship. It’s all a lot of STRESS and a little bit of loneliness because K has to work longer days. He needs me to take care of him instead of the other way around. Then there is the Christmas shopping, wrapping, decorating, baking… etc.. Not to mention the weather turns cold and dreary which makes us feel a little blah, blah, blah. So, what do I do? First and foremost, I take a chill pill (no pill actually taken!) and tell myself, “It will be ok.” Then I turn to K and say, “K, (yes, I actually call him K) let’s do this Christmas thing!” Naturally, we remember baby Jesus was born on Christmas. Mustn’t forget that! Part of breaking through the stress building up is realizing that my freezer and crockpot is my best friend in the kitchen. If I’m making lasagna, I make enough to make an extra 8″x8″ pan of it to freeze for a time where I just don’t have energy to cook. You can do the same with Chili, Meatloaf, Enchiladas, etc.. I’m in love with my Crockpot and have my mother-in-law as my go-to person for recipe questions. She has the best Spare ribs crockpot recipe in the world. Yes, I will share it with you. Be patient, I’m still typing this blog post. I’ll get to it next. hehe! Where was I? To be able to throw food in a crockpot and forget about it for about 5 to 8 hours, is truly a luxury and an energy saver. So, when you’ve mastered freezing meals and crockpot cooking, you are going in the right direction. Another thing is, if you are cooking a Christmas meal, order a cooked turkey or ham from your grocery store or from a store that does that kind of business. That way, it’s done, you don’t have to worry about cooking it. All you have to do is send someone out to pick it up. The very most you would have to do is warm it up in your oven. Have others bring dishes of food to go with the meat. Why do YOU have to do it all? You shouldn’t have to. You can even make cookie dough, freeze it, and then pull it out of the freezer when you have the energy to finish the job. I know for a fact that my older sister freezes her sugar cookie dough after she makes it because she just does NOT have the time to make & bake all those cookies in one day. And she’s a healthy person! By the way… I’m getting a whole batch of frosted sugar cookies from her for my Christmas gift this year! Oh yeah, they are SOOO worth it! Yippee!! Ok technically, I’m not getting them until next month when she comes to visit but it’s something I look forward to very much. I hope you have a great New Year’s Eve! I have a great project for next year. I’ll blog about it in a day or two. Love to you all! In the Kitchen – new post! 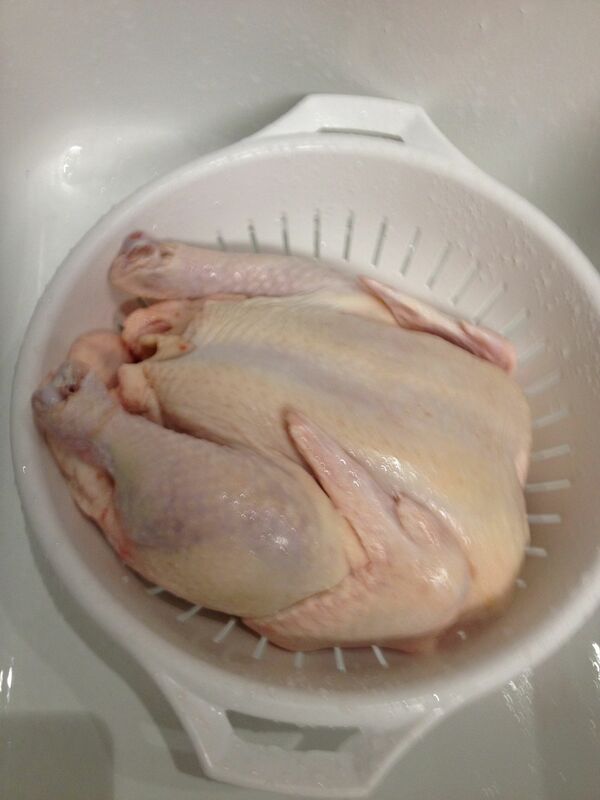 I’ve written my first “In the Kitchen” post about Saving Time with a Whole Bird (chicken). When you want to make a meal that has chicken as one of its ingredients and you don’t have a whole lot of energy, it’s nice to know that you have some already cooked in your freezer. In following posts, I’ll include some ways I use this chicken in recipes that I’ve tweaked to save me time and energy. Let’s face it… living on oxygen and having breathing problems, it’s necessary to find ways to conserve our energy. So, why not start “In the Kitchen?” Follow my blog by submitting your email address (at the right side of your screen) to receive emails when I add new posts to my blog. This is something that I wanted to try for months. I don’t have a lot of energy or desire to cook dinner and it’s really ironic that my husband was a Sous Chef for years. He has a rule that there are to be no box meals (Hamburger Helper or frozen boxed meals). He likes home-cooked food. I don’t blame him. It’s healthier and tastier too. So, I’m starting a new section on my blog, in coordination with Tom from a blog called Breathe This Life, to help those people who struggle with the finding the energy to make a dinner. What Tom and I plan to do is show you ways to make meals ahead and even some ingredients of meals to help you save time and energy. Standing in the kitchen cooking a whole meal wears me out. I figured that others on oxygen may have this same problem. 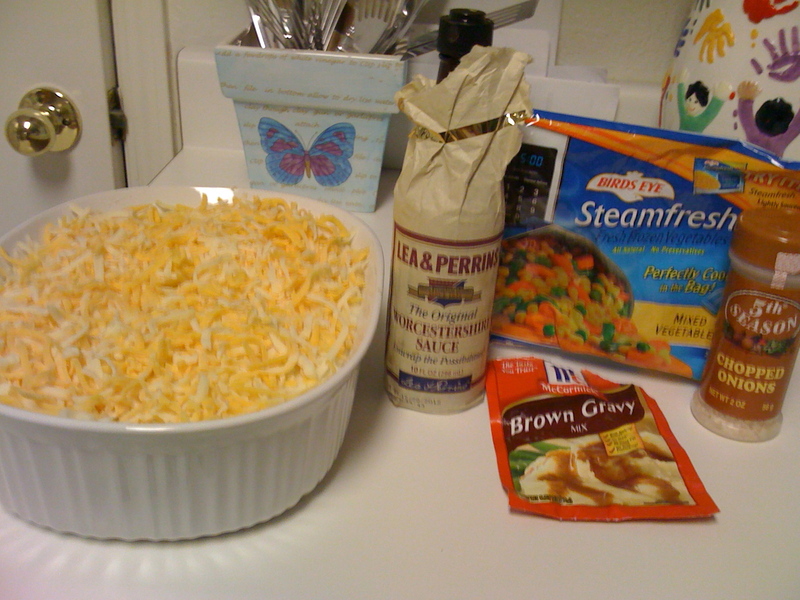 In the picture above, you can see the most of the ingredients for Shepherd Pie. What you don’t see in the picture are potatoes (to make the mashed potatoes) & ground beef. Tom, from Breathe This Life, will help me bring you ideas to save you time in the kitchen and help you have dinner already made on days when you are not feeling at your best.